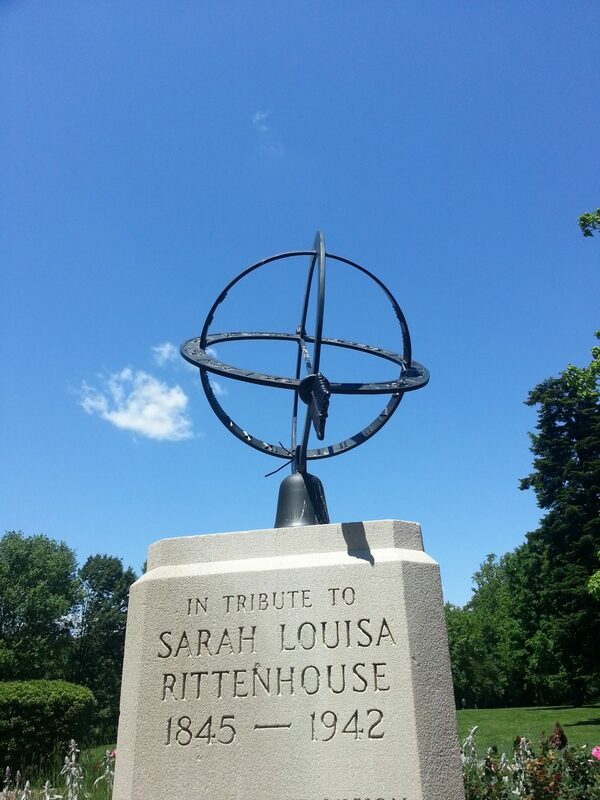 At the entrance to Montrose Park there is a statue with a sundial placed in tribute to Sarah Louise Rittenhouse. The sundial was dedicated on November 9, 1956. Montrose Park and the adjacent Dumbarton Park are managed by the National Park Service. Montrose Park became a park because Sarah Louise Rittenhouse petitioned Congress to buy the acreage for $110,000. Dumbarton Park was a gift to the National Park Service by Mr. and Mrs. Robert Woods Bliss.